Chickpea (Cicer arietinum L.) is the third most important food legume worldwide. Legumes have played a crucial role in agricultural production due to their capacity to fix nitrogen. Symbiotic nitrogen fixation between rhizobia and legumes requires genetic compatibility between host and root nodule bacteria to establish an effective nodule. Variability for nodulation in the host cultivars is significantly high. The number of host genes controlling nodulation in legumes is likely to be quite high. With so many genes involved, it is not really surprising that we continue to identify cultivars defective in some trait limiting nodulation or nitrogen fixation. The non-nodulating trait (Nod-) in chickpea was first observed in 1985 in the cultivar ICC 435, which was found to be controlled by a single recessive gene. 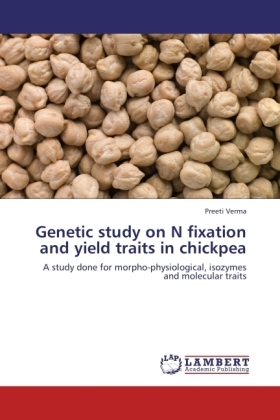 The non-nodulating and the low nodulating selections are of interest for studies of the physiology and genetics of nodulation and nitrogen fixation, as well as providing a reference base in biological nitrogen fixation (BNF) quantification studies.